Now there is a mini-review of Mara Interiors on my blog already. They are actually an interior designers who happen to sell cake and coffee to chat over rather than an actual coffee shop. So it always felt a bit like cheating to write about them. Also, the owner worked out that I am the that coffee shop blogger, which always felt a little intimidating. It’s so much easier to let my opinion run free when no one knows who you are. 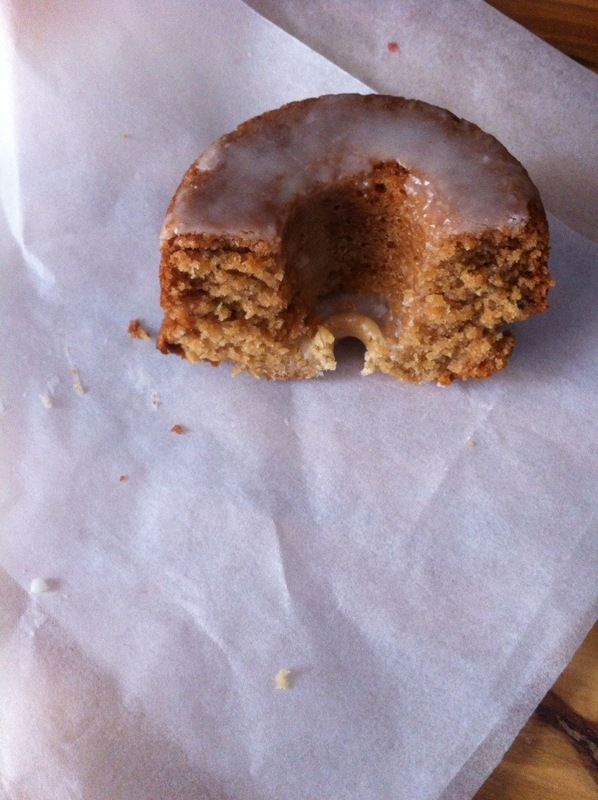 Why have I only got a picture of half of a tea cake…? Because I couldn’t stop myself diving in. This blog, you followers, I forgot you all when faced by the tea cakes and the knife to tuck in… So I don’t even have any evidence of the raspberry one to share with you. Was it good? Yeeeess it was good. But the one you do have a photo of is even better. The honey and lavender one that was in the words of the baker’s husband ‘less elaborate’ with only a layer of thin icing was fabulous. The best, full of subtle flavours and sugar. I liked. Mouthful of cake. Swig of coffee. Savour. Do something else for a couple of minutes. Repeat. It is necessary to get the balance between enjoying the cake and making the experience last as long as possible. Very good coffee by the way. And sitting in an interior design shop you do get much nicer seats than in many of Blackheath’s options. This entry was posted in Blackheath, Coffee Shop, Mara Interiors, Uncategorized and tagged Blackheath standard, cake, coffee, Mara interiors, reviews, SE3 by blackheathcoffeeshops. Bookmark the permalink.